Castlevania fans can sink their teeth into more of the hit animated series before the year's end. 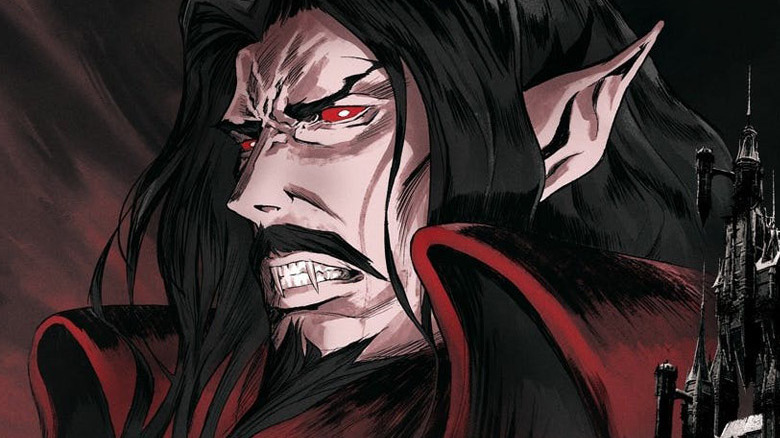 Series writer and executive producer (and all-around comic book legend) Warren Ellis recently revealed on Twitter that Castlevania will return for season 2 on Netflix later this year. Ellis admitted that he doesn't have an exact release date for the series' second season, which will run for eight episodes total, but hinted that there will be plenty of marketing teases leading up to the debut date announcement. "FAQ: #CASTLEVANIA season 2 will be 8 episodes long, out sometime later this year," Ellis wrote. "I don't have the release date yet — these things are decided by people other than me. Lots and lots of great animators are working incredibly hard on it. You'll have plenty of warning of the date." Ellis actually first spilled the beans on Castlevania season 2 earlier this year, stating in a since-deleted tweet that the new batch of episodes would hit the streaming site sometime this summer. "FAQ: people keep asking, so I guess word didn't get around?" Ellis posted (via Slashfilm). "We're coming back this summer, for eight episodes, from Netflix." Looks like the series hit a snag in the road (or accidentally swallowed some garlic, because, you know, vampires hate that stuff) that caused Netflix to push back the premiere date. The upside of the later launch is that the second season of Castlevania, which is based on the Konami video game Castlevania III: Dracula's Curse and follows the last member of the disgraced monster-hunting Belmont family as he protects Eastern Europe from vampire Count Vlad Dracula Tepes, is twice as long as the first installment. More whips, chains, horror motifs, meat inside walls — plus the voice stylings of Richard Armitage (The Hobbit trilogy) as Trevor Belmont, Graham McTavish (The Hobbit, Preacher) as Dracula, James Callis (Battlestar Galactica) as Alucard, Alejandra Reynoso (G.I. Joe: Renegades) as Sypha, Emily Swallow (Supernatural) as Lisa, and Matt Frewer (Orphan Black) as The Bishop? We're all in, even if the wait is longer than we anticipated. A third season of Castlevania is already in the works, so fans have even more upcoming content to get excited about after season 2 premieres.